Cabins contain a queen bed in the bedroom, another queen bed and bunk beds in the main room. We provide all linens including towels, pillows, sheets and blankets. All cabins are carpeted, air conditioned, heated and contain Satellite TV. All cabins contain at least a couch and a kitchen table with 6 chairs. 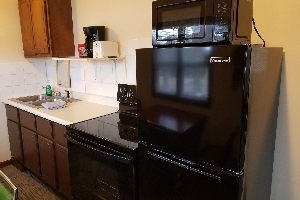 All kitchens have a refrigerator, electric stove & oven, coffee maker, microwave, toaster, tableware for 6, dishes, some pots and pans. Outside of every cabin there is a BBQ grill, picnic table, and fire ring. 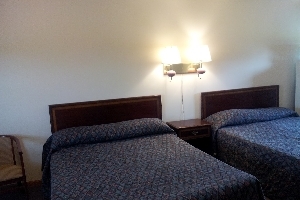 Motel rooms contain two queen beds, a small refrigerator, microwave and coffee maker. All units contain 1 bathroom. Boat parking with electric is included. All units have full access to our amenities. 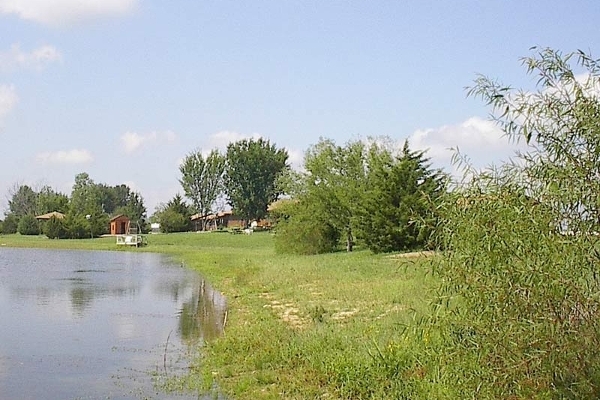 This includes our private fishing lake, indoor pool, gazebo, picnic pavilion, and both playgrounds. When arriving at the cabins guests will check in at Cannon Dam General Store. 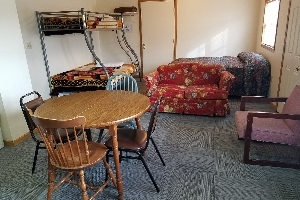 The store is walking distance from the cabins and carries a variety of goods that is well suited to the area. The store sells gas, pizza, bait & tackle, firewood, beer & liquor, soda & snacks, hats & clothes just to name a few items. Cannon Dam General Store is open 7 days a week year round. Open at least 5:00 AM - 9:00 PM everyday in season, 6:00 AM - 8:00 PM during the winter. Stop in at Cannon Dam General Store or visit our facebook page for the most current fishing report! Guests may choose from a variety of on-site dining options including Cannon Dam General Stores excellent pizza, breadsticks, wings, and nachos. Donuts, breakfast pizza, and sandwiches along with an excellent selection of hot and cold drinks make Cannon Dam General Store a great stop before heading out on your days adventure. Check out Cannon Dam General Stores extensive MENU. The Rustic Oak Cabin Steakhouse is open for lunch and dinner daily. The Rustic Oak specializes in USDA choice steaks. The Rustic Oak also features a variety of other entrees including seafood, chicken, catfish and local favorites. Be sure to save room for regionally famous dessert selections. You can also get a bit of homemade fudge or a hand-dipped ice cream cone. 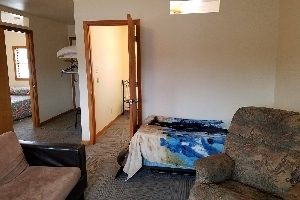 The closest lodging to Mark Twain Lake, our cabins are located only ½ mile from the Blackjack Marina and the Ray Behrens boat ramp. There are facilities for cleaning fish at the boatramp. The Ray Behrens recreation area also contains a reservable picnic area, with a large shelter-house, playground and restrooms. There is also a campground available with full hookups for an RV. The Lick Creek hiking trail is right across from the Ray Behrens Recreation Area. You can get some nice views of the lake as you test your endurance on this trail with options from 2.5 miles to 8 miles. Hiking, horseback riding, or biking is permitted. Motorized vehicles are not allowed on the trail. Only 2 miles away overlooking the Clarence Cannon Dam you can check out the new M.W. Boudreax Visitors Center which contains displays on area wildlife, history, and hydro-power. You can also catch some breathtaking views of the lake from the new observation deck and from inside the new multipurpose room which is available to be reserved for your event year round. Makes a great scenic location for a wedding, family reunion, scouting, or school event. The Clarence Cannon Dam is available for powerhouse tours, and fishing is available in either the North or South Spillway recreation area. Also located within the South Spillway recreation area is the David C. Berti shooting range, which is open to the public and features a 100, 50 and 25 yard range. A variety of other events such as the Mark Twain Lake Rodeo and the Salt River Expo also take place in the South Spillway Recreation Area. 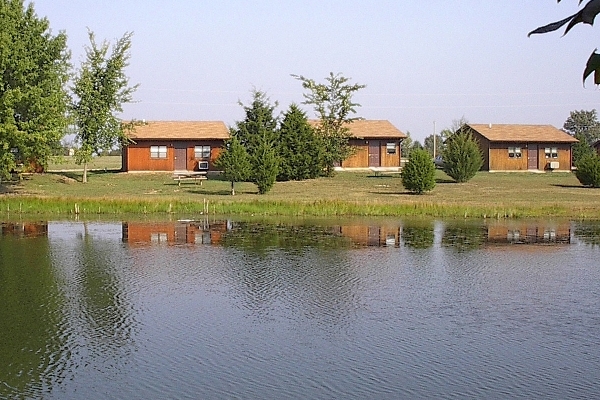 Only 6 miles from the cabins you can find the John F. Spalding Public Beach, Splash Landing waterpark, and downtown Perry, Mo. These offer lots of family fun during the summer months. Splash landing features a wavepool and waterslide. Group discounts are available. Perry, Mo. features a eclectic selection of antique shops that will keep you shopping for hours. Only 30 miles from Hannibal, Mo. the Boyhood Home of Samuel Clemens, better known as the world-renowned author Mark Twain whose literary and public speaking skills are legendary and from where the lake derives its name. Visit the cave, ride the riverboat, and tour historical sites. The renter authorizes his or her credit card be charged for any damage that occurs during their stay. The guests are entitled to stay those nights as long as no illegal, disruptive, or destructive behavior is observed by any employee or guest of Cannon Dam Cabins. All guests 12 years of age or less are required to be supervised by an adult of at least 18 years of age at all times while anywhere on the premises. No one under 18 years of age may enter the pool building unless under the direct supervision of an adult of at least 18 years of age. 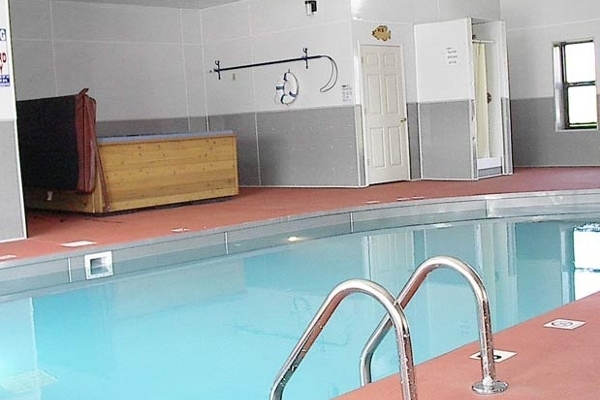 Only registered guests may use the fishing lake, pool building and fitness room. Cannon Dam Cabins are not responsible for any accidents, loss or injury that occurs through use of our facilities. Cannon Dam Cabins reserves the right to terminate this agreement at any time.